A hand-picked pool of licensed Real Estate Agents with extensive experience, presumed to have the right skills and expertise to take on a specific project in a designated area and price range, invited for either the We-Interview or We-Screen. We pool those Agent-Candidates who are REALTORS®, members of the NAR (National Association of REALTORS®) who abide by a strict Code of Ethics. We continue to use this term until the Consumer has responded with their choice, then the selected Agent-Candidate becomes their Agent. The Consumer (home buyer or home seller), the Consumer’s project scope, the Consumer’s circumstances, Consumer’s needs and the Consumer’s time-frames. The scope of work needed to be completed by the Real Estate Agent for the home buyer’s property purchase, the home seller’s property sale, or both. The specific instruction of service given by the Home Buyer or Home Seller to us. Typically, one of these three directions is given: Make the introduction only (U-Interview), only pre-screen before making the introduction (We-Screen), or pre-screen and fully interview before making the introduction (We-Interview). A brand of service introduced to the real estate industry in 2017 by founder Alina Davidov, CRS, committed to enhancing the home buyer and home seller experience by introducing to the Consumer (home buyer / home seller), the best fit Agent(s) for their specific home purchase or home sale needs. At its very highest level of service, this brand offers the We-Interview. The Home Buyer or Home Seller interviews and selects the Agent to work with after being introduced to top performing Agents in their local area. Agents are part of the nations #1 top real estate network and are hand-picked from leading national and boutique brokerages based on their performance. Home Buyers choose from hand picked, evaluated, and screened local professionals. Home Buyers receive a Home Buyer Rebate at closing from LocateMyAgent.com for allowing us to make the introduction to the Referral Exchange Network. Home Sellers can interview top local Agents who compete for their home listing. Home Sellers receive a Home Seller Rebate at closing from LocateMyAgent.com for allowing us to make the introduction to the Referral Exchange Network. Typically used when the home purchase or home sale is under $250,000 or for anyone in need of a top local Agent. The Home Buyer or Home Seller will receive a phone call to confirm that their request is real. The Home Buyer or Home Seller chooses which Agent they would like to work with. The forte of what we do. This choice is for Savvy Consumers (home buyers or home sellers) seeking just the right Agent. THE REAL ESTATE AGENT HEADHUNTER™ finds, screens, and runs thorough procedural interviews with Agent-Candidates, per the Home Buyer’s or Home Seller’s direction after fully understanding the client’s needs. The Home Buyer / Home Seller is introduced to one best suited Agent after the interviews. The Home Buyer / Home Seller either selects to work with this Agent or asks us to find another match. This service is also highly recommended for upper price and all luxury homes. The Consumer promises not to entertain other Candidates while waiting for our results. Note: We do not discuss commissions, ever. If you prefer to compare commissions, the We-Screen is a better choice for you. This choice is for savvy Consumers seeking just the right Agent with our pre-screening help only. THE REAL ESTATE AGENT HEADHUNTER™ finds, pre-screens and introduces Agent-Candidates, based on the Consumer’s direction. The Consumer is introduced to up to three top local candidates who have been pre-screened by us and know that they are candidates for the potential home listing. The Consumer is introduced to a strong pool of candidates, invites them one by one and takes the interview from there. It is in the best interest of the Consumer to meet with all Agent-Candidates before making a final decision. Offered only to Home Sellers. This is also the better choice for those Home Sellers looking to compare commissions and services. THE REAL ESTATE AGENT HEADHUNTER™ does not discuss commissions, this is strictly between the home seller and the Agent. We highly recommend that your final Agent decision is based on the most competent Agent who leaves you with the soundest feeling. The Consumer promises not to entertain other Candidates while waiting for our results. Do you seek out agents working only in large branded companies? No. When seeking Agents, we concentrate on matching the right Agent with the specific project. The determining factor for this is not which type / structure of brokerage the Agent works in, but what value the Agent will bring to your project. If you prefer an Agent specifically from only a large branded company or only from a boutique company, simply let us know in the comments field and we will try our best to meet that request whenever possible. Does THE REAL ESTATE AGENT HEADHUNTER® discuss sales commission with the Listing Agent? No. Commission is negotiated between the Consumer (Seller) and the Agent. Our job is to find you the best qualified Agent(s) capable of filling your project’s needs. If commission is a major deciding factor, we strongly encourage you to select the We-Screen where we will match you up with three Agents who we feel are most competent to list your home after we have screened them and you will have the ability to compare commissions and services while you interview them. What is expected of the Consumer? Your loyalty – to not prospect other Agents when you have asked us to headhunt for your agent when using the “We-Interview” services. Your reply back to us when we reach out (we cannot begin to headhunt for you until we have communicated with you and know that your project is real). Your truthful responses when filling out your request forms. Your cooperation with all status updates / feedback we send you (these are always quick & easy responses). Update us if there was any change to your needs. Why am I asked to reply to status checks? We don’t send them often, but your replies to status checks are our way of following up with both the Agent and Consumer to track the progress during your search or listing and during your transaction. We are not involved in your actual transaction and are not automatically notified about major milestones or changes. We just need updates so we know how the Agent – Client relationship is going and how close you are to meeting the purchase / sale goal. If consumers don't pay for the services, how do you get paid? We are heavily vested in what we do. We believe in the result we provide to Home Buyers and Home Sellers. We do not only provide very high level results to you, we also provide the Agent with a valuable client profile detailing the home sale or home purchase project. The receiving Agent’s brokerage agrees to pay us a referral fee for our services. Instead of charging Agents heavy fees for cold leads that may or may not ever close, we provide high quality clients to them. However, we do not only help home buyers and sellers choose top agents, we share our referral fee with them in the form of a rebate. This creates a WIN-WIN-WIN for all. How do you select the Agent that’s right for me using the We-Screen / We-Interview levels of services? A lot of thought goes into finding the right Agent for your project and it is all done manually. Our belief played a big two-part role in the design of the “We” services offered. First, the real estate industry is not just about the properties people buy or sell. It is about the actual people who have a life changing motive to either acquire such properties or let go of them. Inarguably, the real estate industry is first about the people’s needs and second about the actual property. Because of this, we strongly believe that it takes a person’s judgment to find the true right Agent for your needs, not one from a computer match. This is where our “Who are You and What are Your Needs” checkpoint must be met when interacting with the Consumer. Second , the Agent must not only align with the hard skills needed for your project, have the true time available in their own life to work with you, but must also be capable of servicing your specific needs. If any one of these three factors is missing, you will not be in the right relationship with your Agent. You are hiring someone to represent you in either the most or one of the most expensive transactions you will ever make in your life time, hire right. What if you find me the right fit agent to sell my home, using a We-Screen, but I am not happy with the commission? Don’t sign the listing paperwork. Commission is negotiated between the seller and the agent. You can also order one more We-Interview round. Why are the We-Interviews not offered to every Consumer? 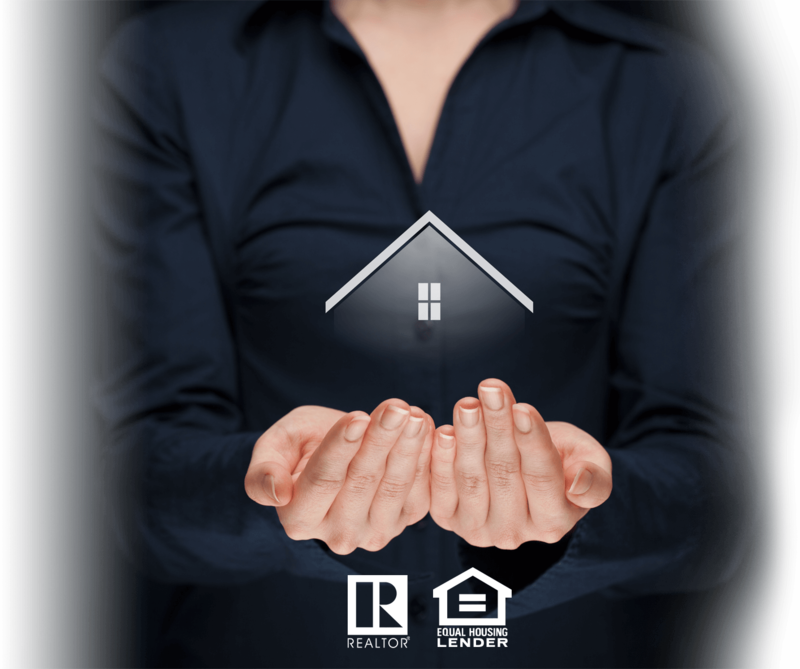 At this time, we are able to help those Buyers and Sellers of properties that are priced $250,000 and up and only those buyers who have already been pre-approved for a mortgage. We needed to find a fair way to do this and felt that if the buyer is prepared and ready with a pre-approval letter, it is fair to ask Agents who want such Buyers to take time from their daily schedule to be interviewed for such projects. However, we still want to be able to help every Consumer in some capacity. For those Consumers who would still like to be introduced to handpicked top Agents in your marketplace from both boutique and brand name Brokerages, we connect you through our industry networking partners who will gladly help you. Simply fill out the U-Interview form as your starting point. You will be contacted to verify that you are a real buyer / seller with needs for an Agent. You get matched with up to three of such local professionals. We highly suggest that you interview them further before deciding if they are the right fit for your needs. We will still follow up with you on status checks. Am I represented by Carol Hazel Realty, LLC / LocateMyAgent.com as an Agent in my real estate transaction? No. We do not represent you in any capacity in your real estate transaction. Our only goal is to help you find the right Agent for your project. We do not give counsel about your transaction, legal advice or discuss anything specific to your transaction. Should I sign an Exclusive Buyer Agency Agreement with an agent? This is entirely up to you. Some Agents ask for this. Others do not. You decide who you will work with and how. If you need us to specifically disqualify agents who require this, please comment this in the initial form you fill out so we know before contacting Agents.